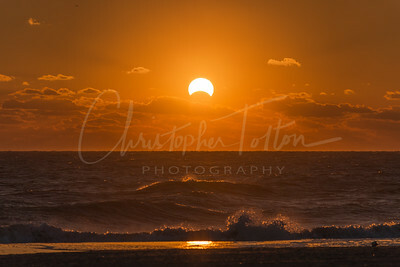 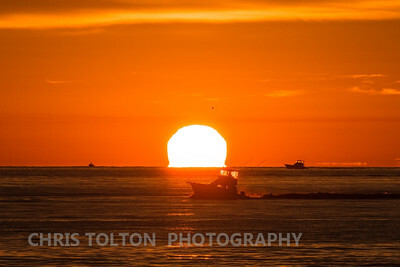 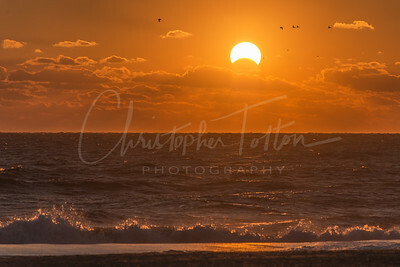 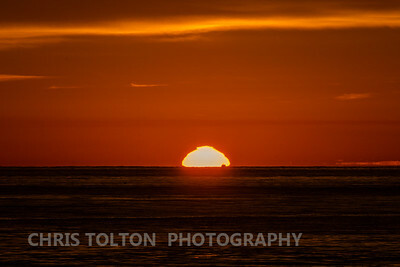 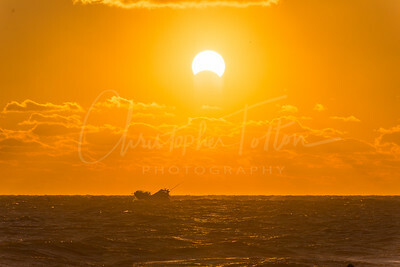 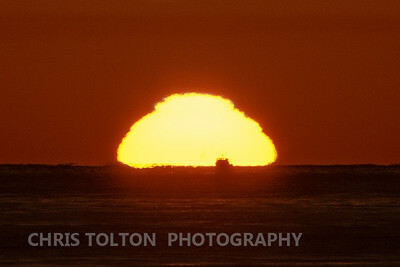 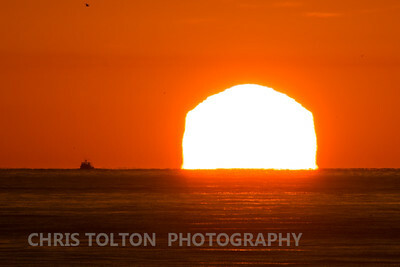 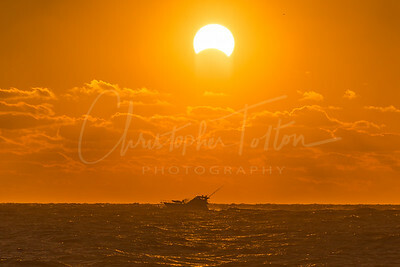 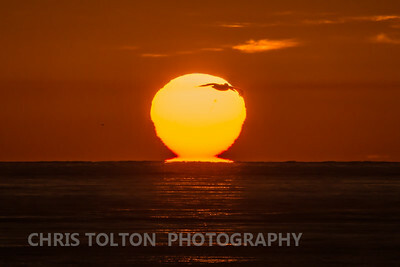 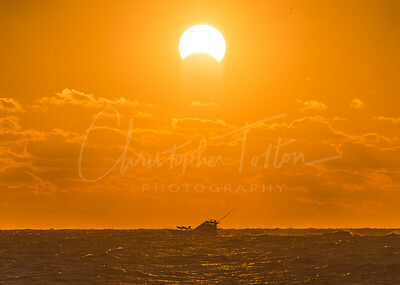 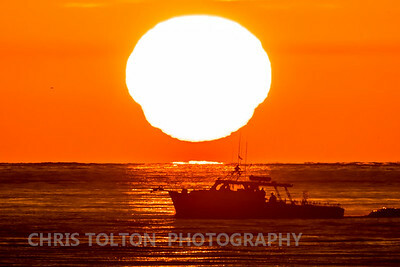 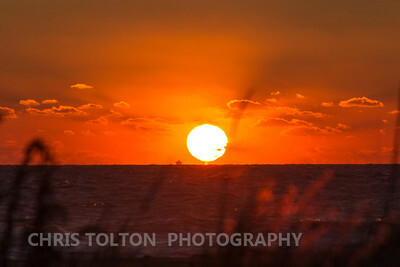 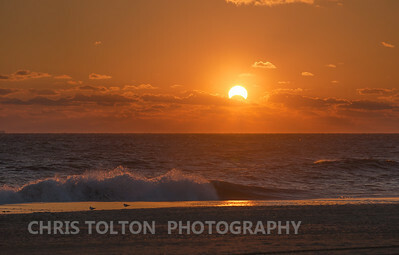 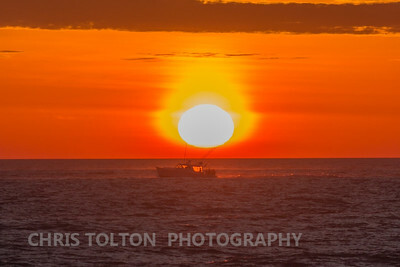 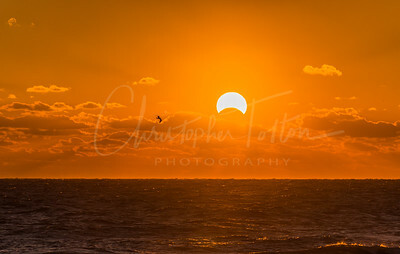 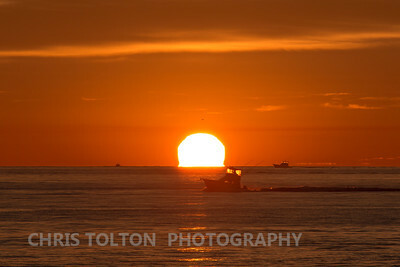 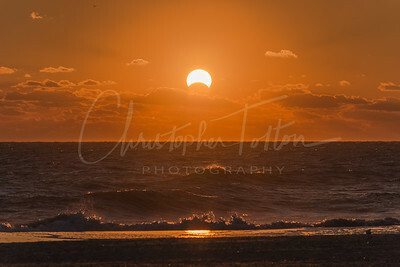 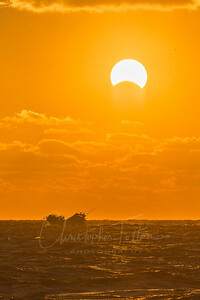 Fishing boat passes under just rising sun. 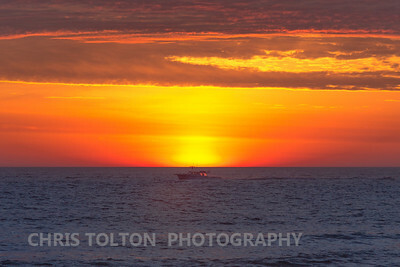 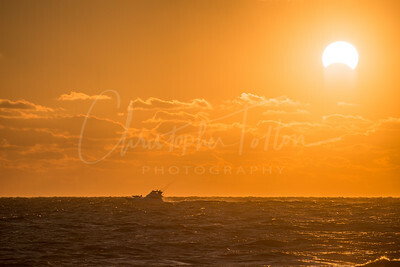 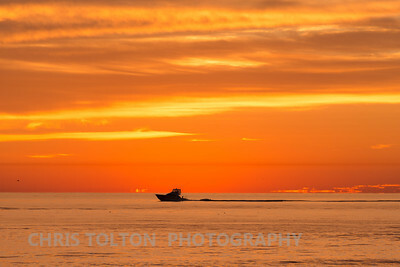 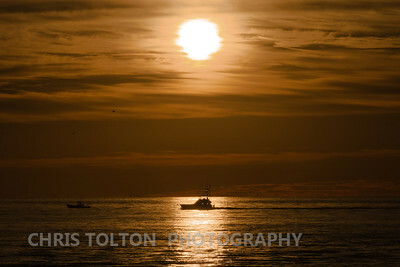 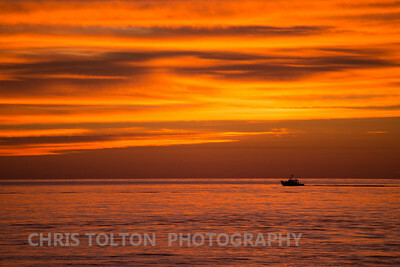 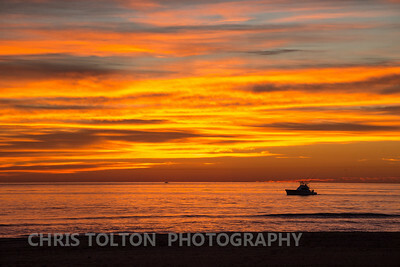 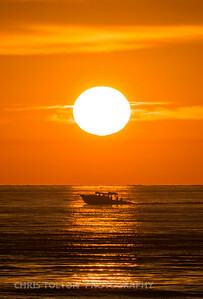 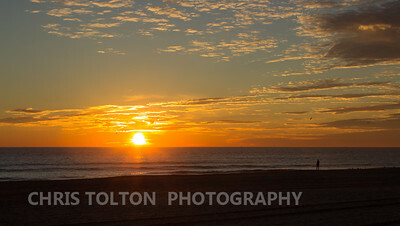 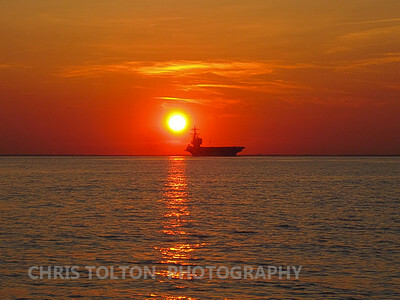 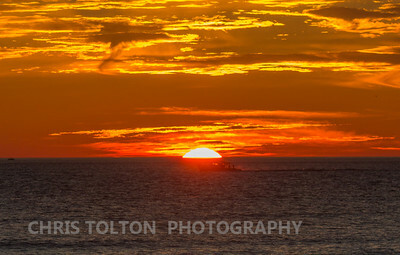 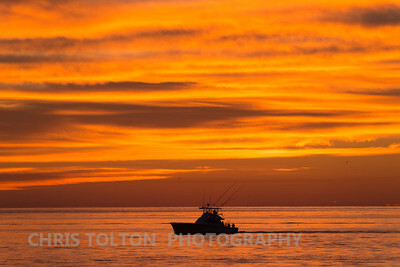 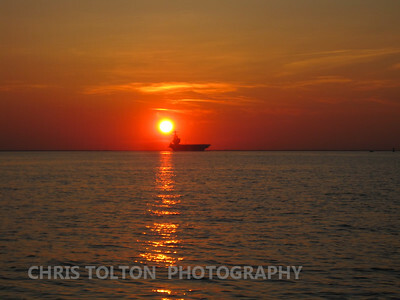 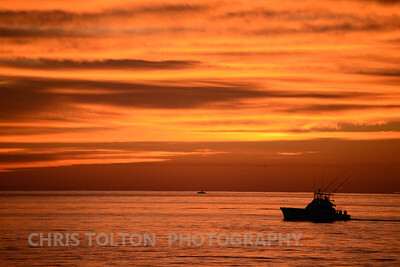 Sport fishing boat goes out at sunrise. 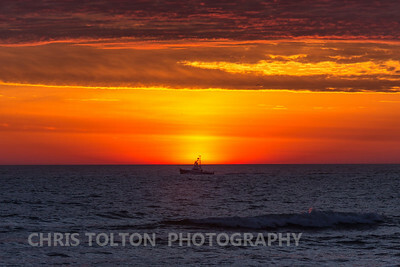 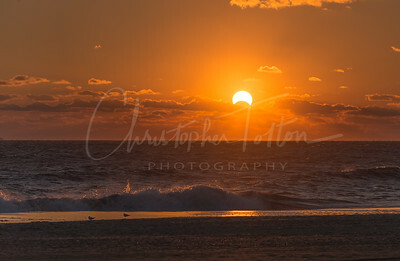 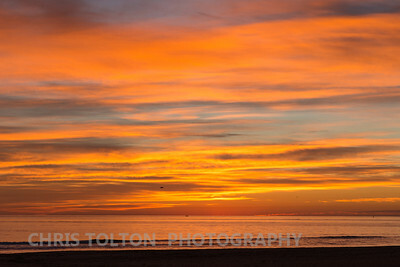 Boat goes out for fishing just before sunrise. 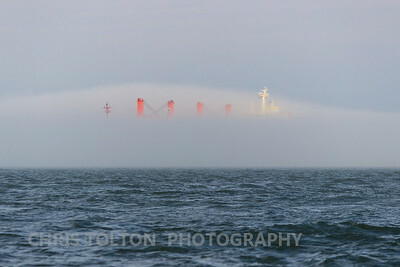 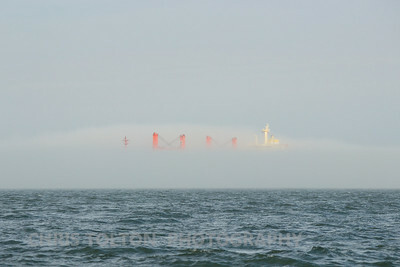 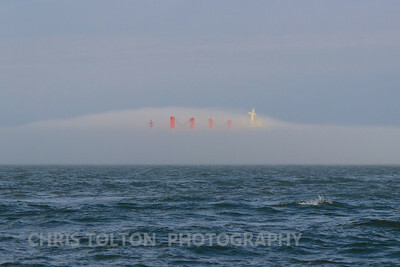 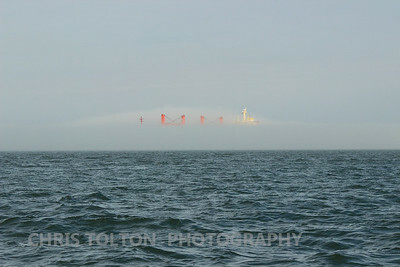 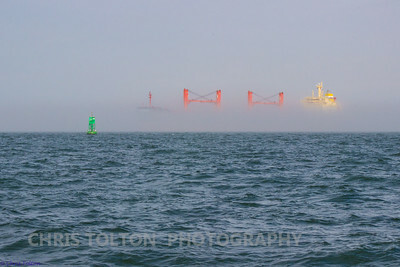 Foggy entrance to the Chesapeake Bay, on a warm January day.